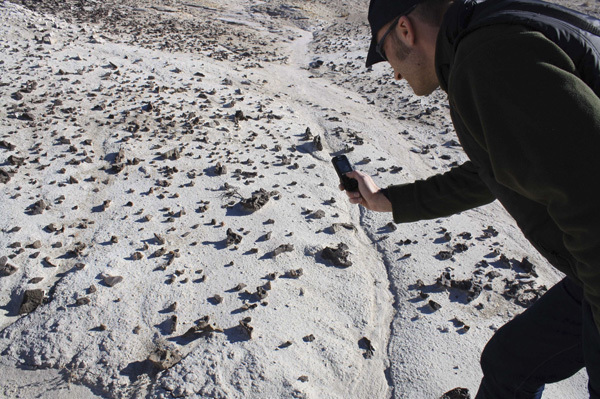 Christoph Gross, a German researcher on Patrick McGuire’s team, gathers images of geological formations at the Mars Desert Research Station in Utah. 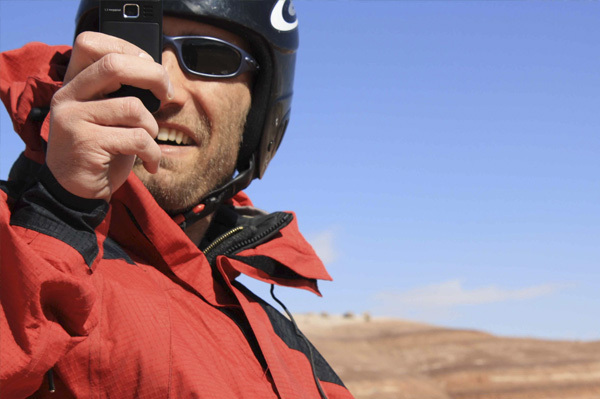 One day astronauts could use the technology to search for life on other planets. 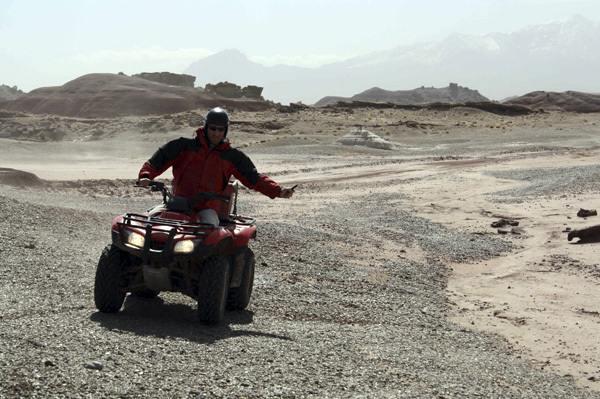 During a February 2009 field test at the Mars Desert Research Station, researchers studied the terrain using an astrobiology phone camera, which sends images via Bluetooth technology to a netbook computer for analysis. 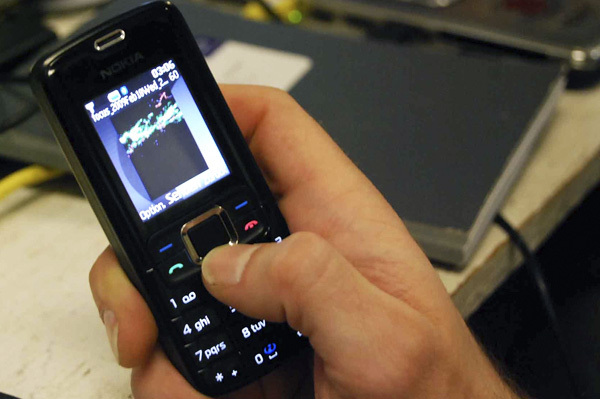 A computer processes the images in real time and sends the results back to the phone. 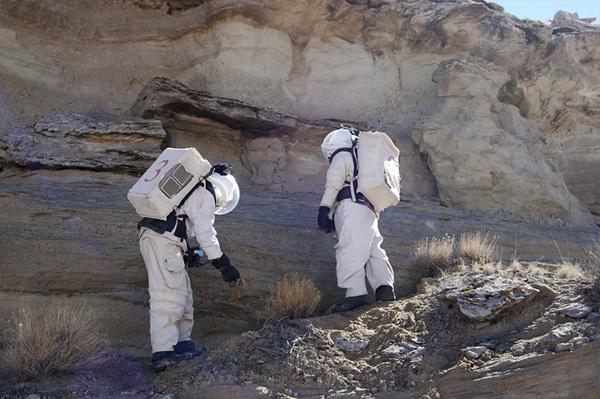 The main goal is to develop reliable scientific-autonomy systems and “transplant the brains of the computers into robots that will go to the moon, go to Mars, and explore,” says McGuire. 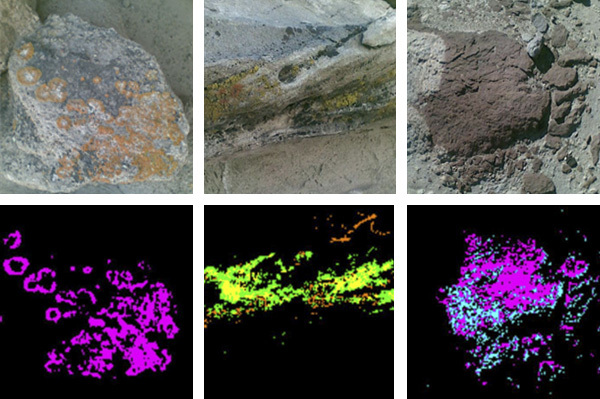 A computer analyzes geological images based on color and highlights areas of interest—in the case lichens on the outcrops. 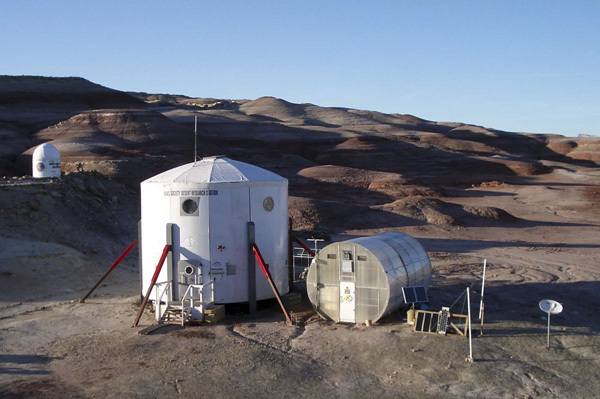 These results confirmed previous field tests of the novelty-detection system, leading McGuire’s team to publish its findings in the International Journal of Astrobiology.